A few months ago, I had an idea. What if I reached out to some of the most influential authors of our time, and asked for a few moments to answer some questions from a fledgeling magazine? Crazy, I know. Naturally, I sat on it for awhile. I sat on it for a variety of reasons: schedule, procrastination, etc. But really what it came down to was that I thought it’d be a waste of time. It’d be a waste of time because the two authors that came to mind were such big names that it was unlikely they would take the time to reply to my email, let alone answer my questions. The first was Junot Diaz, the Pulitzer Prize winning author of The Brief Wondrous Life of Oscar Wao, This Is How You Lose Her, and Drown. All critically acclaimed novels, and bestsellers. 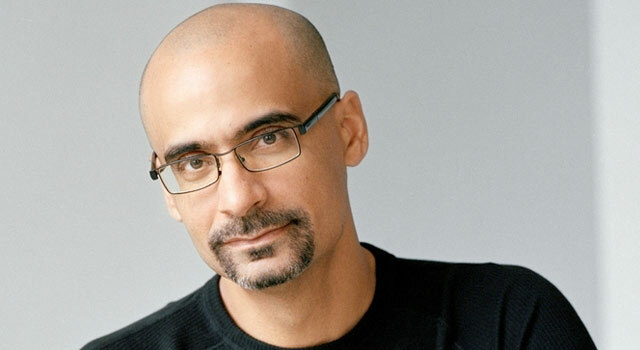 If there was an author who reenergized my love for reading, it was Junot Diaz. He also helped me learn that it was ok to put a little more of myself in my writing. The other was Stephen King, author of I-don’t-know-how-many horror novels, including IT, The Stand, The Gunslinger, and Salem’s Lot. The man who was responsible for my love for just about everything writing. Now getting a hold of Stephen King was going to be almost impossible. He didn’t have a contact email, no fan club, and while his site did mention he sometimes read through his sites Message Board, I doubted it. I could read through his FAQ page and copy and paste some answers, but that was it. No go. So I turned to Junot Diaz. Not my second choice, but more personal, so I was more hesitant to contact him. His novels were a perfect blend of the tragic and humorous, with characters and settings I could relate to. His lack of father figures, the struggles of everyday life, love, loss—it was all so perfectly written. So here’s that short interview with, hopefully, many more to come. PM: Who growing up was the biggest influence to you as far as your love for writing, and why? JD: Probably my first librarian Mrs Crowell because she encouraged my love of books and that more or less created me as a writer. She was so generous and kind and enthusiastic. Never will forget her. PM: Was there a specific character you created that you felt was, in a large part, a reflection of yourself? JD: Well Yunior, who appears in all three of my novels is more or less my alter ego, though quite different than me. PM: Where do you get your ideas, and where do you go or what do you do to deal with writer’s block? JD: I just read. Books for me are almost always the answer. PM: What’s the best advice that you ever received in your life that you’d want to pass on to others? JD: Always work on being more compassionate. If it doesn’t save your life it will save someone else’s. PM: Any writing projects you’re currently working on that people can look forward to? JD: God, not really. Basically stuck on stupid right now.